The lobby of Rosslyn's news 1812 N. Moore St. tower features a large photograph of Rosslyn in 1963. You can see the Riverplace apartment complex just above the middle on the right edge of the photo. 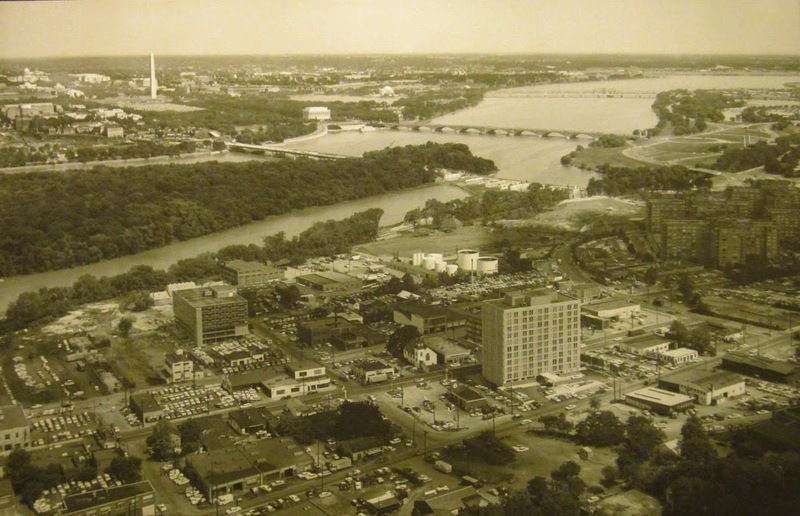 Rosslyn in 1963 seems to have been about half car parking lots. Rosslyn is now much more scenic. Rosslyn is also now much more bike-friendly.